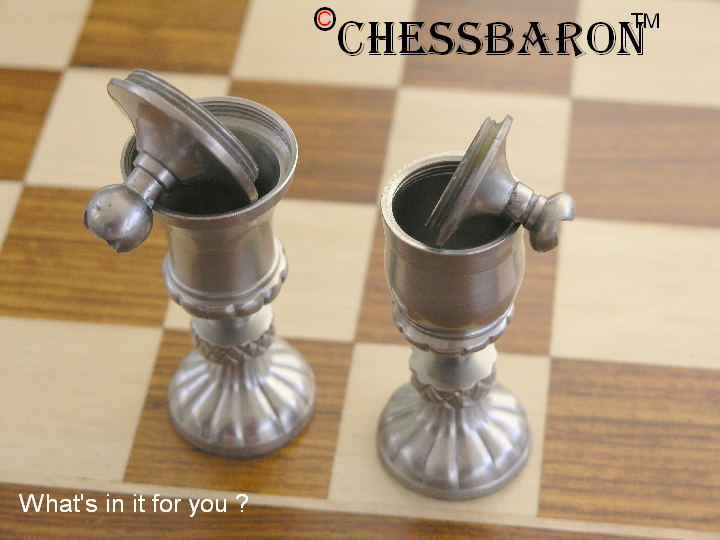 This product from Chess Baron: Huge reduction to �99! 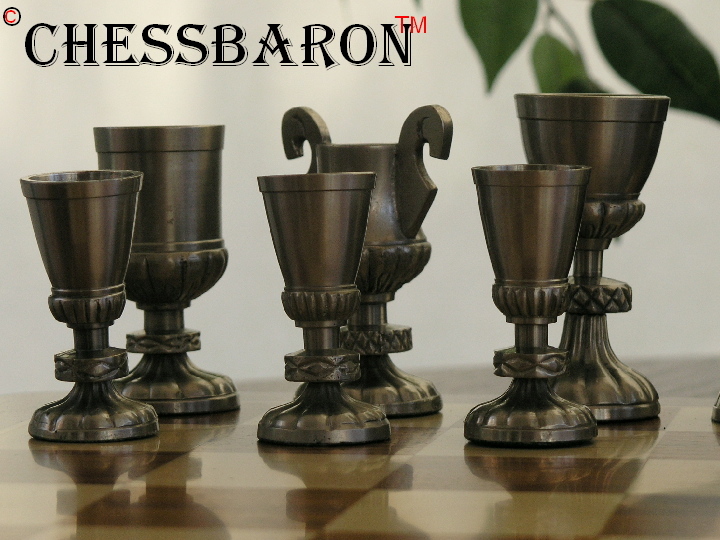 Looking for something distinctive that really makes a individual statement? 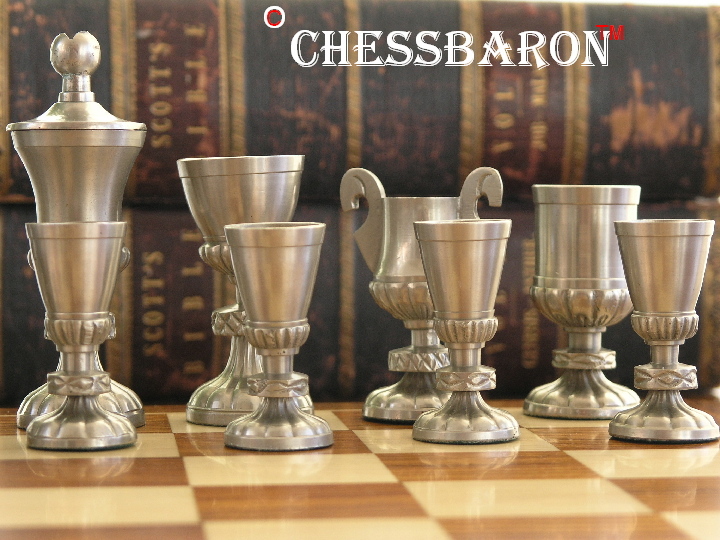 Here's a very heavy metal chess set that really stands out. 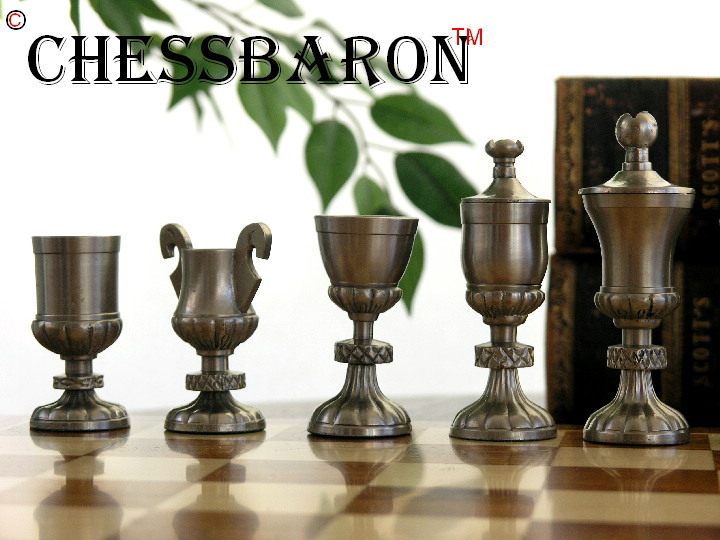 Modelled from archeological finds, the Judean historian Josephus had a collection of goblets that this set is modelled after - perfect material for a chess set because of the variety in design making up the different pieces. 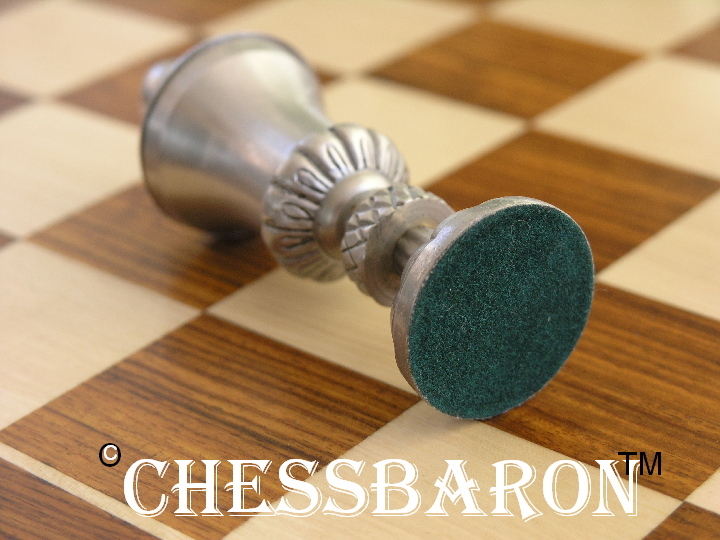 Unusually the King and Queen pieces both have unscrewable caps. 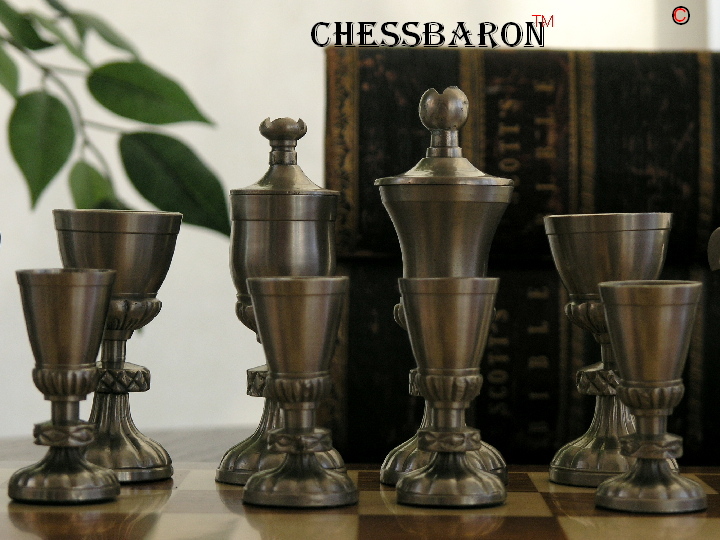 The set also trumps any other shot glass chess set we've ever seen. 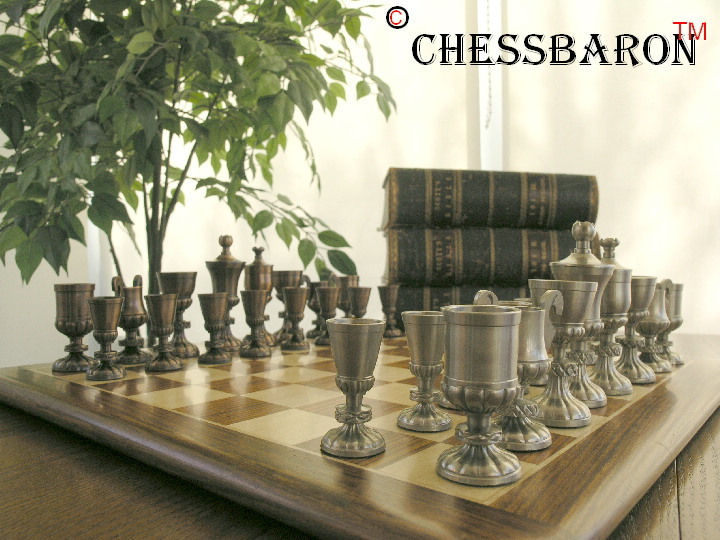 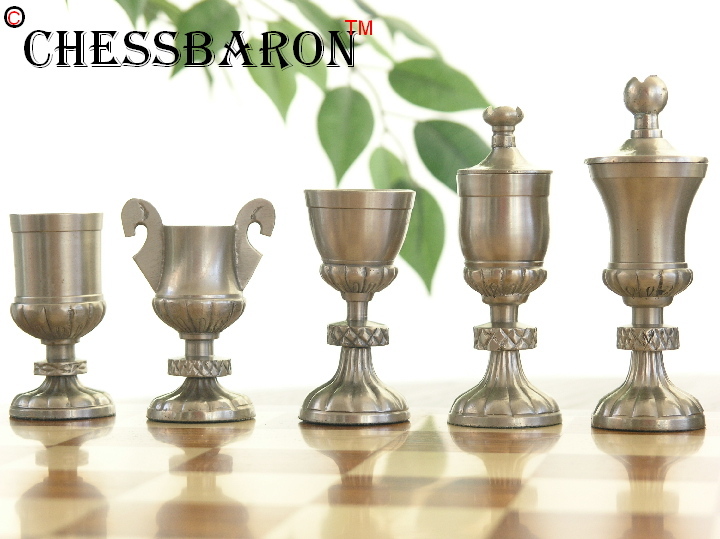 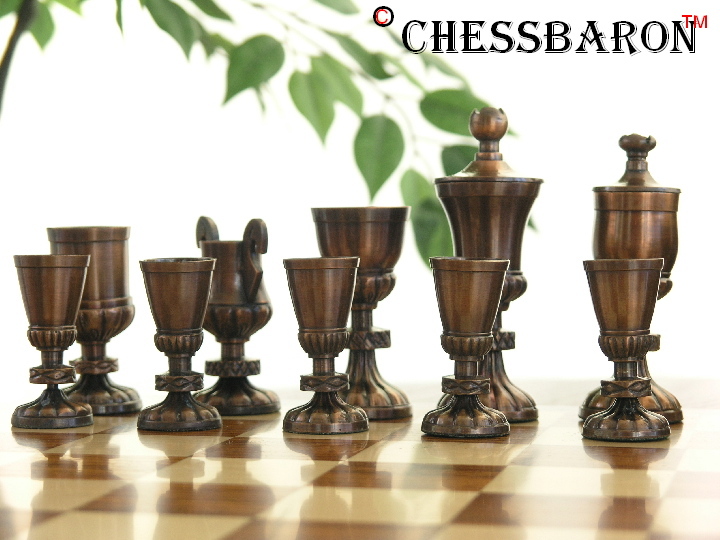 This is a shot glass chess set with distinction - and is obviously not glass - it's made in copper and steel. 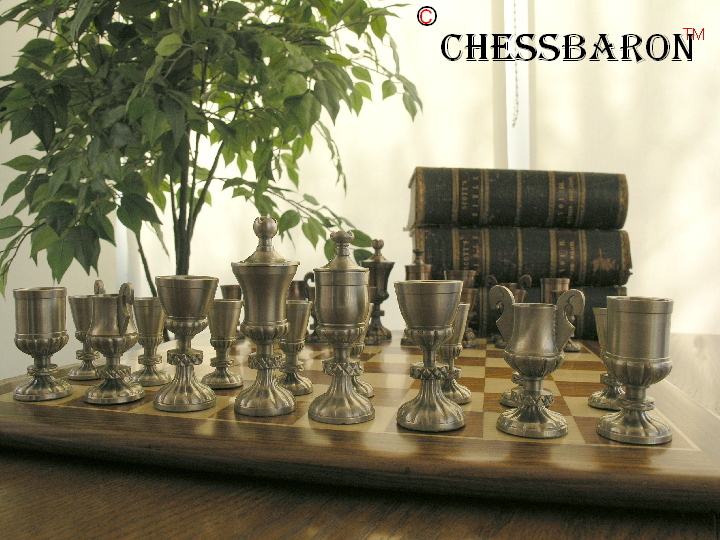 A great chess set!